Leave the cage of your everyday life and prepare for a different kind of outdoors where happy parrots are having the time of their life and are enjoying their freedom while throwing countless earnings over the head of you-the high-spirited gambler. The classical structure of Parrot Party Slots, which involves 5 reels and 25 paylines allows for pretty much every famous asset of the game genre-special profitable symbols, bonuses and jackpots. Things are normal and big when it comes down to the more specific numbers such as the coin denomination, which starts at 1 cent and goes as high as 10 dollars. That makes the lowest bet possible-25 cents and the highest possible-250 dollars. Players can decide just how many lines they can play with and there are 25 choices. The wild symbol of the game is the grass Hut symbol. It will grace you with its presence exclusively on the second and fourth reels. Apart from its regular ability to replace the rest of the symbols in potential winning combinations and make you more money, it is also gifted with a stacked ability. This can also be activated only on reel 2 and reel 4. The only symbol that can’t be substituted by the wild is the scatter-the Musical Notes. The wild here is also capable of unleashing a bonus round and the activation occurs when the wild appears at the same time on the second and the fourth reels. The scatter is capable of delivering payouts entirely on its own and has combinations of 2, 3, 4 and 5. The jackpot is possible to get through neither of those two symbols. Players will need to watch out for the Red Parrot symbol. If they receive a five-symbol winning combination with it, the jackpot that amounts to 12 500 coins will be granted and your life as a parrot will become very good. Other symbols include the Blue Parrot, which pays 5000 coins for a five-symbol combination, the guitar (1000 coins for 5) and the Bottle of Rum (500 for 5). At the bottom of the paytable are the regular card symbols. The A is the highest paid (300 for 5), followed by the K (250 for 5) and finally by the Q, J, 10 and 9 (200 for 5). After the right wild symbols have appeared on the right place and the bonus is activated, a new screen will pop out, in which the player will have to select Hut symbols one after the other. Every time you get your hands on one, an award will be given in the form of multipliers. 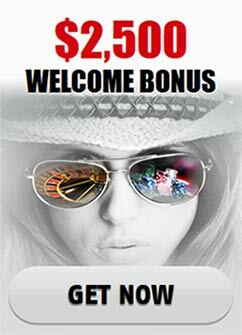 There is a very impressive range with the bonus game awards-they can be as low as a mere double multiplier to one that increases your bet 250 times. Parrot Party is a slot game that is great in the classic way-with familiar rules, features and even packs a few surprises, apart from the unusually high winning combination payouts. It is a perfectly enjoyable slot with fun visuals, atmosphere and characters which everyone should be able to enjoy.